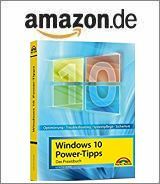 [German]On July 10, 2018 (patchday) Microsoft has released further updates for Internet Explorer, Windows Server, etc. This blog post contains details of selected patches that are not included in the remaining articles linked at the end of the article. With the July 2018 patchday, Microsoft closed 53 vulnerabilities in Windows, Office and other Microsoft products, 18 of which were critical. Bleeping Computer has published an overview and an article of the fix for the “Lazy FP State Restore” bug on Intel CPUs. Talos has an overview of critical vulnerabilities closed on patchday and patchtuesdaydashboard.com list also these updates. A complete overview may also be found on Microsoft’s web site. Some of the updates mentioned there are described in separate blog posts (see link list at the end of the article). The following security updates have been released. Furthermore, Microsoft has changed the metafiles of some updates (affected packages can be found here). And on WSUS a number of updates were released again – cause is unknown. This entry was posted in browser, Update, Windows and tagged Patchday, Update, Windows. Bookmark the permalink.